Four Birmingham stakeholders are partnering to bring business education and access to lending to businesses in economically disadvantaged areas. 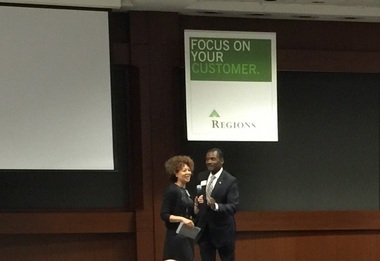 Inner City Capital Connections, a portion of a national nonprofit in Massachusetts, has partnered with Regions Bank, the Birmingham Business Alliance, Protective Life and Alabama Power to launch the program in Birmingham. The program will take businesses either in economically distressed areas or where a significant portion of staff work in economically distressed areas and mentor them, culminating in a conference at Regions Field Aug. 6. Various lenders and capital providers will be present at the event participating in workshops or advisers. “By the end of the day, they hopefully get a broad sense of, here are all the various ways you may be able to access capital to help your business grow, or here’s something you maybe need to work on in order to access capital,” Abrahams said. The businesses participate at no cost to them, but they have to apply. To be eligible, businesses have to be independent for-profit corporations. ICCC suggests companies should have revenues of $2 million or more in 2014, but several have been selected with smaller revenues than that. Companies have until June 3 to apply and can do so by clicking here. Regions worked with ICCC in Memphis last year about 175 people attended the conference, and spokesman Jeremy King said he expects around the same number to attend this year. Companies across the state should apply, King said. Before the conference, the participants will be mentored via webinars or one on one coaching. The two biggest problems small business owners face are a lack of access to capital or they don’t grow themselves in sustainable ways, said ICCC Director Hyacinth Vassell. ICCC aims to fix those problems. ICCC has operated in nine cities so far; after this year, it will have worked in 12. 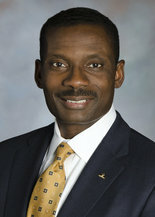 “The difference is how the pieces that we focus on in the classes, because if we have, for instance in Birmingham, a lot of companies are steel or microbreweries or something like that we customize the classes for teaching what’s in the room,” Vassell said.